amendment machine — Moey Inc. 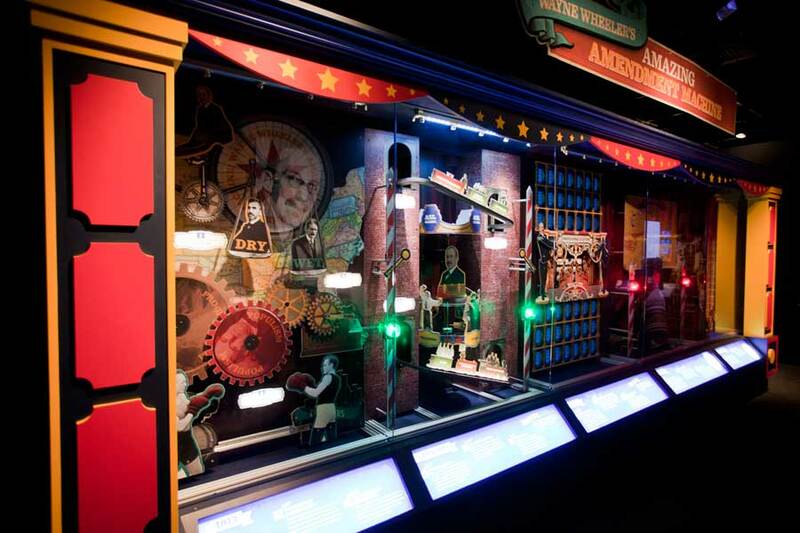 The National Constitution Center wanted to create a showstopping exhibit centerpiece for "American Spirits: The Rise and Fall of Prohibition." 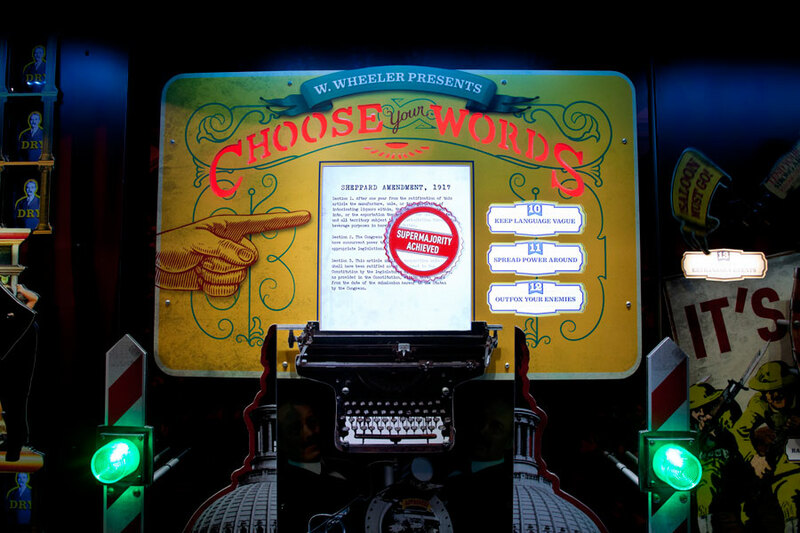 They collaborated with Moey to create Wayne Wheeler's Amazing Amendment Machine, a carnivalesque tour through the history of Wayne Wheeler's work on Prohibition. (Wheeler was the lawyer who pushed through the landmark 18th amendment.) 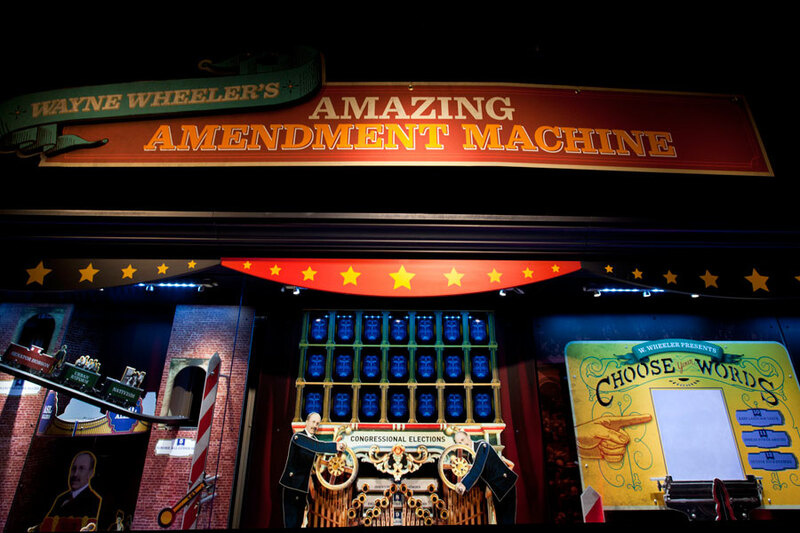 The Amendment Machine uses kinetic sculpture combined with embedded video animation to teach visitors about this historic process.